A stronger Canada-India relationship holds the promise of enhanced prosperity and security for both parties, writes Samir Saran and Shuvaloy Majumdar for Inside Policy. Prime Minister Justin Trudeau’s visit to India this past week came at a time when Canadians are particularly preoccupied with two other compelling international relationships facing unprecedented strains born from a changing global order: the United States and China. The US friendship is inescapable, forged by geographic, economic, and cultural realities. American leadership remains the lynchpin of an international order Canadians cherish, dedicated to free peoples and free markets. Yet as NAFTA undergoes a tough re-examination, Canadians are reminded that even the closest alliances are not immune to diverging interests. Amid anxieties over America, China is often presented as Canada’s obvious alternative, and the creeping “Sinofication” of Canada’s economy, and Sinophilia of its political class, has increased at a rapid clip. Canadian access to Chinese markets and global influence comes at high cost to Canadian interests. Critical voices have rightly questioned the degree to which Canada can enter into the good graces of a one-party command economy while keeping traditional Canadian business and political ethics intact. India, more than any other growing power, offers Canada economic and strategic possibilities that are genuine, pragmatic, and achievable. Canada needs new room to manoeuvre, and the Indian opportunity is an essential corridor to the high growth Indo-Pacific region between these two demanding poles. India, more than any other growing power, offers Canada economic and strategic possibilities that are genuine, pragmatic, and achievable. It is a common-sense, practical alliance, free from tyranny of geography, grounded in shared values and mutual interests. A stronger Canada-India relationship holds the promise of enhanced prosperity and security for both parties without threatening the character and agency of either. The rapid modernization of the Indian economy, and with it, the material improvement of the lives of millions, is a remarkable achievement of modern history. Within the next two decades, the Indian economy may be valued at $10 trillion, placing it firmly in the most elite upper tier of nations. The country has established a window for global opportunity through a growing array of modern industries, including technology, energy, urban planning, and agriculture. The bright future such development portends has not gone unnoticed by Canadian firms hungry for international partners, and Canadian investors eager to diversify their portfolios. Canadian pension investments in India in particular have risen dramatically, from virtually nothing a decade ago to over $14 billion today. With each passing year the evidence becomes clearer: Canadians who fail to appreciate the economic opportunities of India do so at their own risk. On the security front, New Delhi plays a critical role as the defender of the international order which Canada is so invested in. India’s strategic geographic location, increasingly sophisticated military and security forces, and principled opposition to the hegemonic and regressive ideologies of our time make it an essential ally in an uncertain era. The country has proven itself a willing partner in the fight against violent extremism, including the false prophesies of Khalistan and political Islam, within its borders and beyond. Its proximity and understanding of West Asia, Pakistan and Afghanistan make it an invaluable partner for the West. On the security front, New Delhi plays a critical role as the defender of the international order which Canada is so invested in. Perhaps most importantly, India provides an essential counterbalance to China’s rising ambition as Asia’s unquestioned regional superpower. When Beijing threatens the sovereignty of other nations, for example its “Belt and Road Initiative” to construct highways through disputed territories in Asia, or the uninvited presence of Chinese warships and military infrastructure in the Bay of Bengal, Indian Ocean and South China Sea, it is India’s strength, both militarily and diplomatic, that make it the most credible voice of resistance. At a time when many of Canada’s leaders seem oblivious or resistant to the consequences of Chinese power, India’s informed insights demand a Canadian audience. 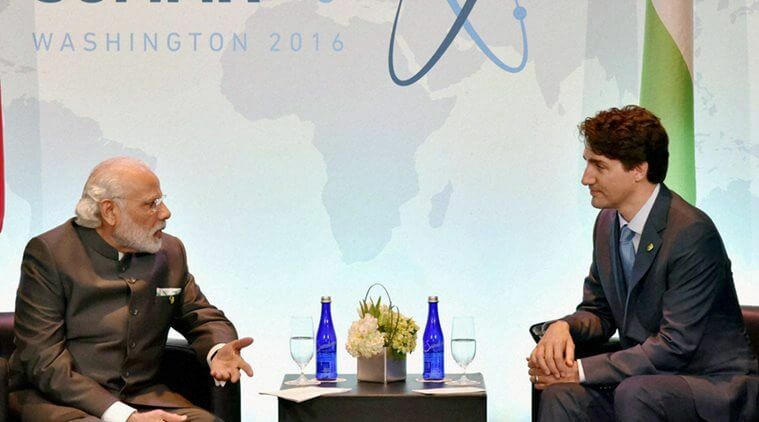 As we enter the third decade of this century, both countries’ political and opinion leaders need to explain India’s contemporary economic and strategic realities to Canadians. We must make clear the vast opportunities for productive cooperation. In announcing a new era of collaboration between our two organizations while our national leaders meet in New Delhi, the Observer Research Foundation and Macdonald-Laurier Institute intend to serve as leading proponents of this mission from both our capital cities. Although our two countries share symbolic and cultural bonds born from decades of migration and common political heritage, the true strength of our partnership will ultimately be defined by the ability of Canadians and Indians, in both the private and public realm, to coordinate tangible activities of mutual geopolitical and material interest. It is a testament to the skills and resources of both nations that this objective seems easily within our grasp. Samir Saran is Vice President of New Delhi’s Observer Research Foundation (@samirsaran). Shuvaloy Majumdar is Munk Senior Fellow for Foreign Policy at Ottawa’s Macdonald Laurier Institute (@shuvmajumdar).